The MG3 (shown) was the only model that the Chinese-owned British automaker was still making in Longbridge. 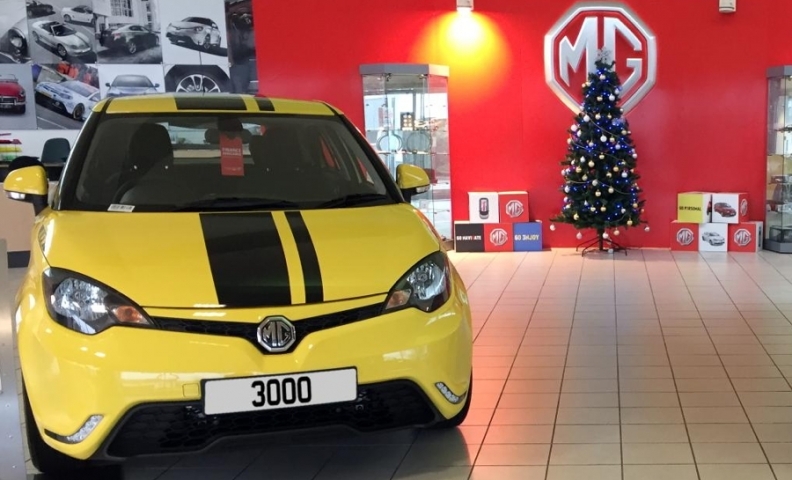 MG Motor will stop making cars in the UK this year after its owner, SAIC Motor, decided to move final assembly of the MG3 to China from Longbridge, central England. MG said the move will result in manufacturing efficiencies and help centralize distribution. It denied the decision was because of Britain’s vote to leave the European Union, which MG has previously said has delayed its plans to market its cars in European countries outside the UK. “[Ending production] will ensure global market competitiveness and support long-term investment into new product lines,” MG said in a statement on Friday. The company estimates 25 jobs will be lost. Production was restarted in the former MG Rover plant in 2011 with the MG6 midsize car as part of a drive to assure customers that MG was still British in character. SAIC acquired MG in 2007 after taking over Nanjing Automobile, which bought MG Rover following the UK automaker’s collapse in 2005. MG has struggled to gain a foothold since returning to the UK. Last year it sold 3,152 cars in the UK, its only European market, but predicts it will increase that to 5,000 this year after the launch of the new GS compact SUV in the summer. The GS is fully assembled in SAIC’s factory in Lingang, China. Production at the Longbridge plant was limited to final assembly as it received cars from China that were 80 percent finished, leaving the 40 workers on site to add the engine and transmission as well the front suspension and headlights. The MG3 subcompact joined the MG6 in 2014. MG axed the MG6 earlier this year after deciding not to update the car’s diesel engine to meet Euro 6 standards, leaving just the MG3 at Longbridge. Once UK production stops MG will have to pay a 10 percent import tax on fully assembled cars that arrive from China, as opposed to the 5 percent tax imposed on cars partly assembled locally, the company said. SAIC, however, will save money on renting the 105-acre property. It leased the Longbridge site from developers St. Modwen at an annual cost of 1.8 million pounds (2.1 million euros). St. Modwen has already developed the majority of the 412-acre site of the original factory, which started making cars in 1906. News of MG’s pending production stop was greeted with sadness in the UK. Aston Martin CEO Andy Palmer tweeted: “Deeply disappointed to see the closure of the Longbridge site where I learned so much of my trade.” Palmer began his career at Rover. SAIC will continue to design and engineer MG cars in Longbridge. Earlier this year the company announced it would invest 1.2 million pounds to install a fifth engine test facility among other improvements to the development center. MG said SAIC plans shift more design and engineering functions to Longbridge in the longer term. The center employees 300 design and engineering staff, the company said.